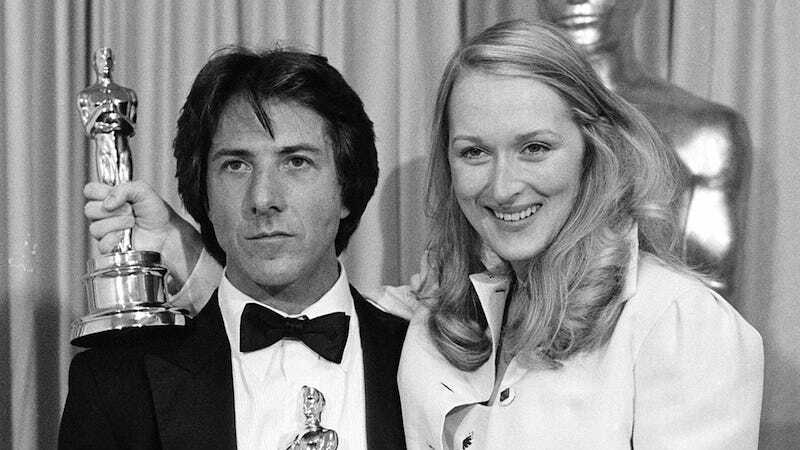 The cover story of April’s Vanity Fair, adapted from Michael Schulman’s upcoming biography of Meryl Streep, recounts the tumultuous production of Kramer vs. Kramer, the 1979 film that made Streep a star. The journey from casting to the Oscar stage was quite a ride, and Schulman’s piece details her struggles with the character of Joanna Kramer, as well as the ones with the actor who played Joanna’s husband, Dustin Hoffman. When Dustin asked her what she thought of the story, she told him in no uncertain terms. They had the character all wrong, she insisted. Her reasons for leaving Ted are too hazy. We should understand why she comes back for custody. When she gives up Billy in the final scene, it should be for the boy’s sake, not hers. Joanna isn’t a villain; she’s a reflection of a real struggle that women are going through across the country, and the audience should feel some sympathy for her. If they wanted Meryl, they’d need to do re-writes, she later told Ms. magazine. On the second day, they continued shooting the opening scene, when Ted follows the hysterical Joanna into the hallway. They shot the bulk of it in the morning and, after lunch, set up for some reaction shots. Dustin and Meryl took their positions on the other side of the apartment door. Then something happened that shocked not just Meryl but everyone on set. Right before their entrance, Dustin slapped her hard across the cheek, leaving a red mark. Benton heard the slap and saw Meryl charge into the hallway. We’re dead, he thought. The picture’s dead. She’s going to bring us up with the Screen Actors Guild. Instead, Meryl went on and acted the scene. And Hoffman’s Method acting had only just begun. Meryl, Fischoff said, went “absolutely white.” She had done her work and thought through the part. “Meryl, why don’t you stop carrying the flag for feminism and just act the scene,” he said. Just like Joanna, she was butting in and mucking everything up, he felt. Reality and fiction had become blurry. When Dustin looked across the table, he saw not just an actress making a scene suggestion but shades of Anne Byrne, his soon-to-be ex-wife. In Joanna Kramer, and by extension Meryl Streep, he saw the woman making his life hell. For more on that super fun work environment—and the surprise blockbuster it wrought—I suggest reading the rest of Schulman’s piece. Her Again, the biography from which it was adapted, comes out next month.